Really liking this impressive collection of art prints, jewelry and stationery created by Scotland’s Lovely Pigeon studio. This Scottish atelier was established in 2009 by designer-creator, Kristy Thomas. 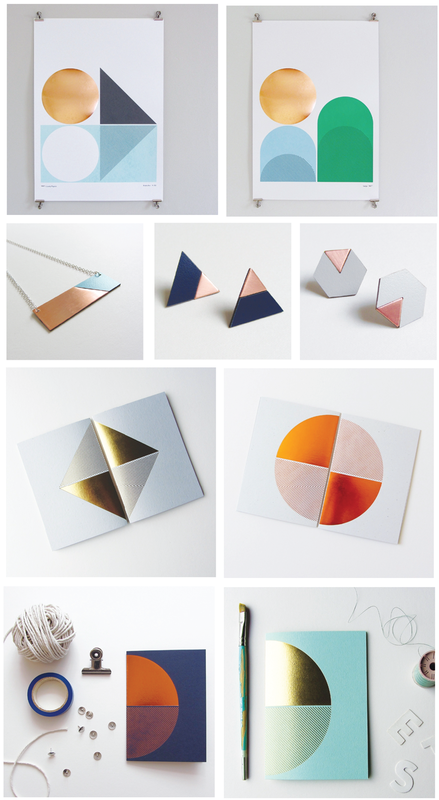 Love her simple, sophisticated geometric lines and coloration. Images: Courtesy of Lovely Pigeon.